The breathing system takes in Exhaledalveoliattackbloodbronchiolescancercapillariescarboncellsexpelledincreaseincreasesoxygentrachea and removes Exhaledalveoliattackbloodbronchiolescancercapillariescarboncellsexpelledincreaseincreasesoxygentrachea dioxide. When we breathe in, Exhaledalveoliattackbloodbronchiolescancercapillariescarboncellsexpelledincreaseincreasesoxygentrachea travels in the air through the Exhaledalveoliattackbloodbronchiolescancercapillariescarboncellsexpelledincreaseincreasesoxygentrachea and bronchi, into the Exhaledalveoliattackbloodbronchiolescancercapillariescarboncellsexpelledincreaseincreasesoxygentrachea and finally reaches numerous sac-like structures called Exhaledalveoliattackbloodbronchiolescancercapillariescarboncellsexpelledincreaseincreasesoxygentrachea . The thin surfaces of the alveoli are in contact with Exhaledalveoliattackbloodbronchiolescancercapillariescarboncellsexpelledincreaseincreasesoxygentrachea vessels called Exhaledalveoliattackbloodbronchiolescancercapillariescarboncellsexpelledincreaseincreasesoxygentrachea . 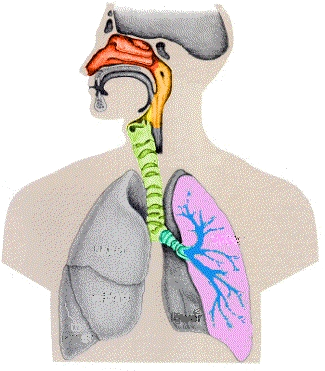 At the alveoli, oxygen enters the blood to be carried to Exhaledalveoliattackbloodbronchiolescancercapillariescarboncellsexpelledincreaseincreasesoxygentrachea in the body. Waste carbon dioxide in the Exhaledalveoliattackbloodbronchiolescancercapillariescarboncellsexpelledincreaseincreasesoxygentrachea is excreted at the alveoli and Exhaledalveoliattackbloodbronchiolescancercapillariescarboncellsexpelledincreaseincreasesoxygentrachea in the air we breathe out. Exhaledalveoliattackbloodbronchiolescancercapillariescarboncellsexpelledincreaseincreasesoxygentrachea air contains more carbon dioxide than inhaled air. The rate of breathing Exhaledalveoliattackbloodbronchiolescancercapillariescarboncellsexpelledincreaseincreasesoxygentrachea with exercise. Smoking can Exhaledalveoliattackbloodbronchiolescancercapillariescarboncellsexpelledincreaseincreasesoxygentrachea the risk of lung infection, Exhaledalveoliattackbloodbronchiolescancercapillariescarboncellsexpelledincreaseincreasesoxygentrachea and heart Exhaledalveoliattackbloodbronchiolescancercapillariescarboncellsexpelledincreaseincreasesoxygentrachea .